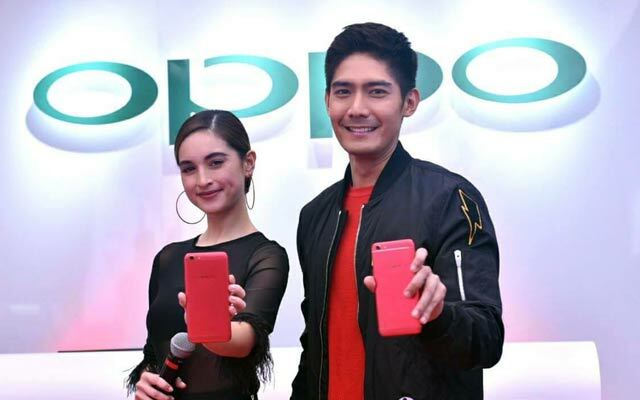 Robi Domingo and Coleen Garcia during the lauching of the OPPO F3 Red Edition. 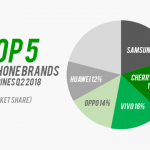 In the recent IDC report, Chinese smartphone brands OPPO and Vivo made it to the top 5 smartphone brands in the Philippines. This displaced local Philippine smartphone brands like MyPhone and Starmobile. Only two remain in the top 5 – the number one Cherry Mobile and Cloudfone in the fourth place. Samsung is in second place. 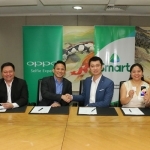 The two companies enlisted high profile personalities including Sarah Geronimo and Stephen Curry to promote their smartphones. 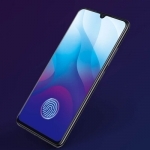 Retailers are also very willing to push OPPO and Vivo smartphones since they have huge profit margins and a lot of marketing materials like banners, inflatable statues and others. Sadly, several local smartphone brands were badly affected by the tough competition. 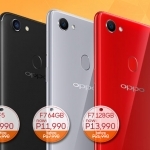 MyPhone’s focus on digital TV on smartphones isn’t working, Starmobile’s presence is declining and O+ USA is rumored to be exiting the market soon. It’s worth noting that market share of local brands in other Southeast Asian nations have been declining due to the same tough competition from Chinese players. Thankfully, local smartphone brands in the country are now fighting back. Cherry Mobile continues to offer affordable smartphone with good specs. Cloudfone also released good quality co-branded smartphones with NBA, Disney and Spotify. Meanwhile, Torque unveils its answer to the problem of after sales service by partnering with Air 21. They call it Torque Express. MyPhone’s parent company, Solid Group, has even introduced a multi-level marketing system for the new Brown&Proud smartphones. Local smartphone brands have a big chance to win the fight against their Chinese competitors. They just have to be willing to exert more effort in marketing and brand presence. The lack of accessories and less than stellar after sales service should also be addressed. They can even co-exist with each other. Filipino consumers are diverse and there is room for everyone. We are not all selfie addicts, others are gamers, some are pragmatic and more are budget conscious.